A “free college” movement is sweeping the nation and taking hold in California. 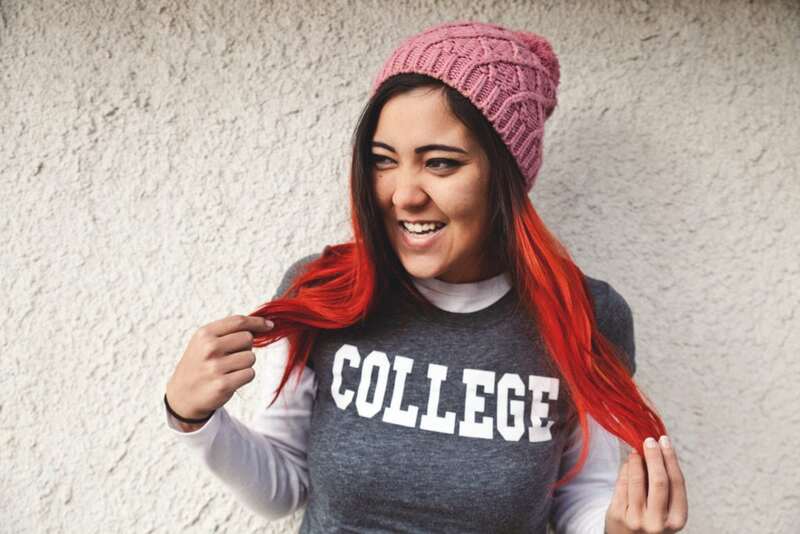 Adopted last year and funded this year, the California College Promise program gives community college districts flexible spending that they can use to help ease the financial barriers students face, including tuition. However, while “free college” is a catchy phrase and an admirable goal, we know the true cost of college goes beyond tuition. Our latest equity alert takes a look at the state’s current College Promise program, and offers recommendations to move it from good to great. Most important, we highlight what is necessary to ensure it is truly an equity-driven approach when implemented – using a framework developed by our colleagues at The Education Trust. 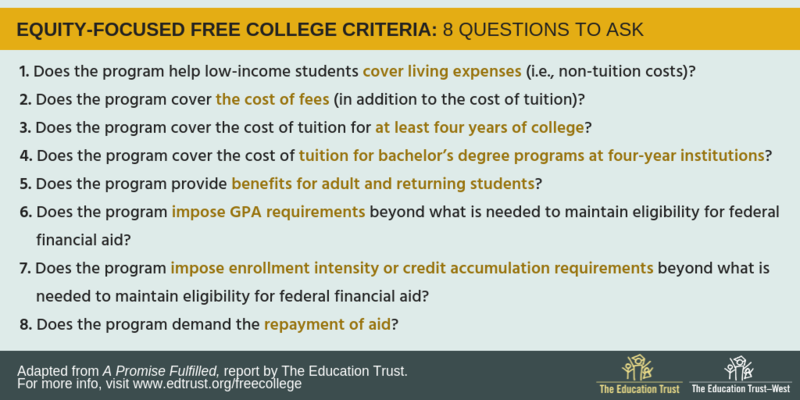 The framework provides eight key criteria to use in assessing the level of equity within a free college program, and finds that California has room to improve our program in five of the eight areas.